"Our Products Cannot Be Sold. They Have To Be Understood." 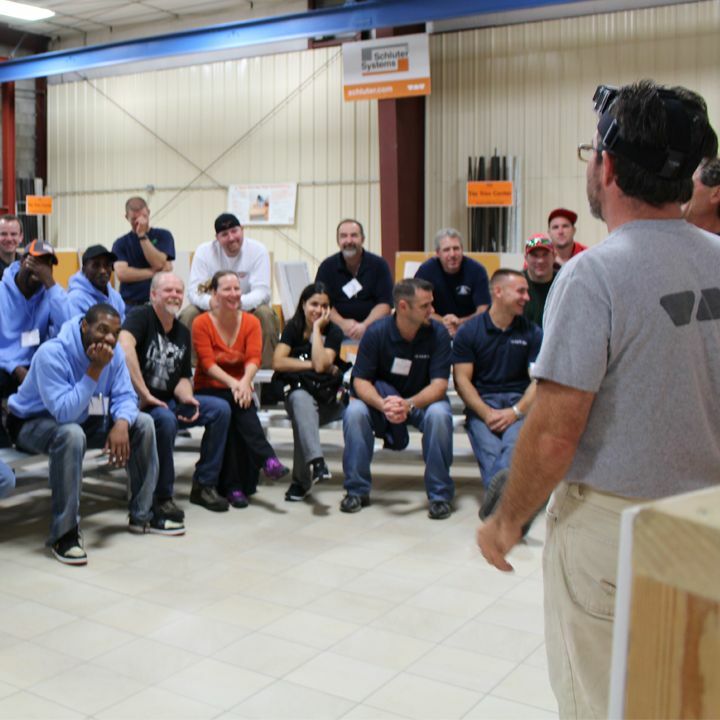 Schluter®-Systems offers a variety of workshops across North America that are designed for industry-related professionals. 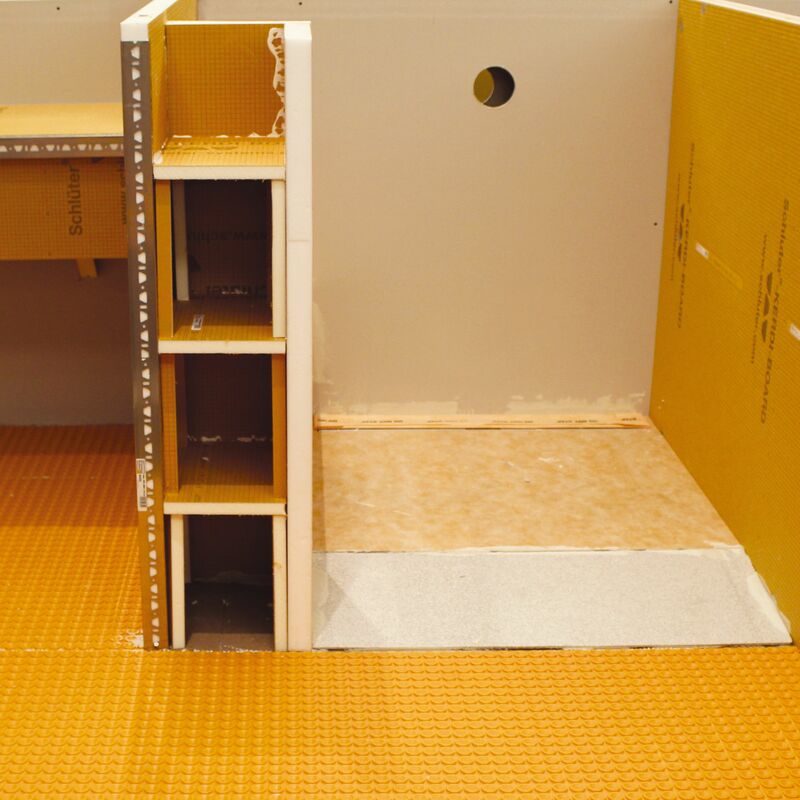 We are a solutions-based company, and our technical experts are eager to share with you all of the innovative, industry best practices and effective applications achieved using Schluter® products. Our workshops are compelling, and inspire collaboration and creativity. It is our philosophy and practice to support education and training on industry-approved ceramic and stone tile installation methods. We actively participate in the development of standards and specifications for ceramic tile installation through representation in industry organizations such as the Tile Council of North America (TCNA) in the United States and the Terrazzo, Tile, and Marble Association of Canada (TTMAC). 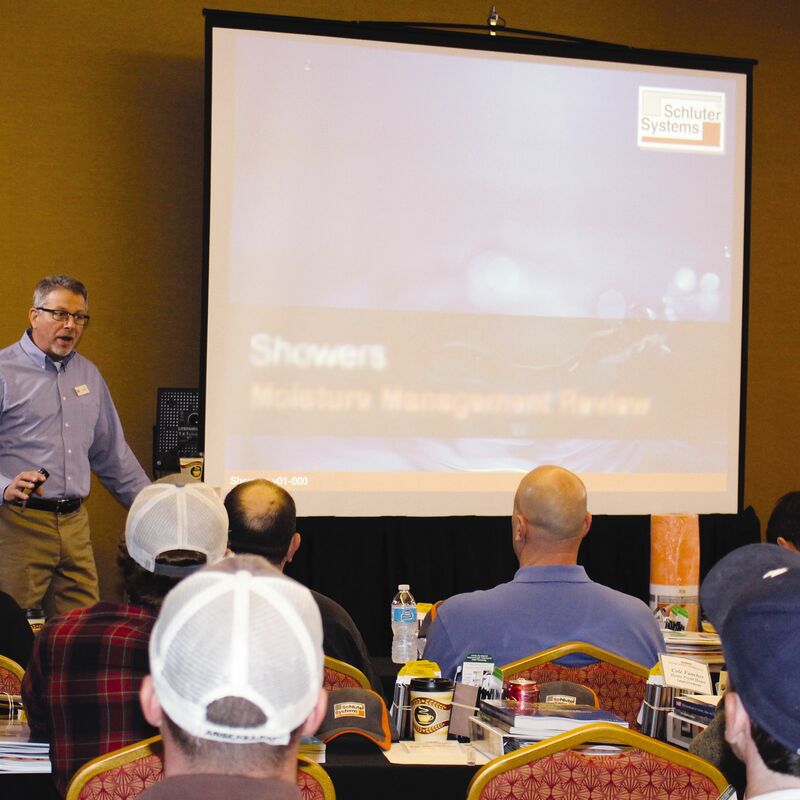 Schluter®-Systems offers a host of workshops and seminars geared towards professionals of the tile industry. 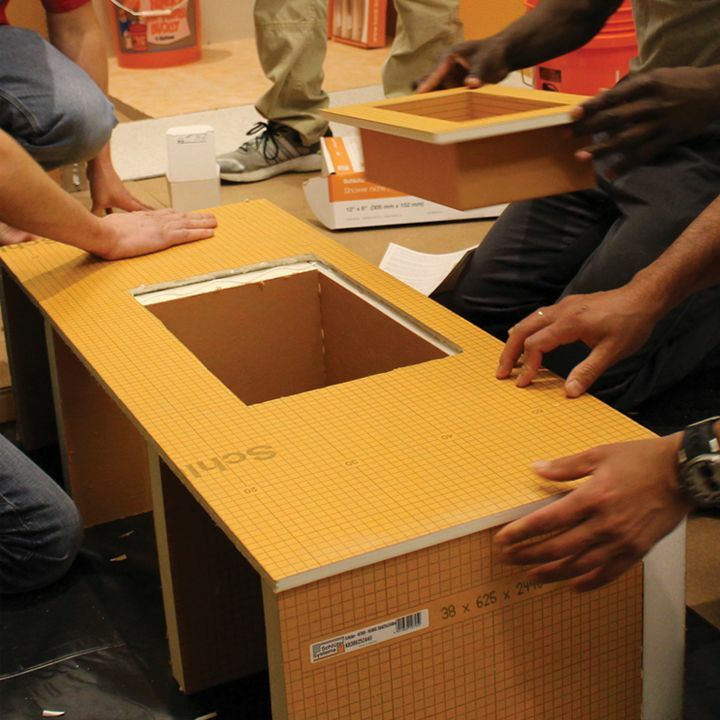 These workshops are not just about Schluter® products, but rather, the best practices used throughout the tile industry. Our workshops are informative, engaging, and involve a combination of practical, theoretical, and demonstrative training. They are free to attend, and provide an excellent venue to inspire and be inspired by other professionals of the trade! The Innovation Workshops are presented in two information-packed sessions: Part 1 and Part 2, and are open to all professionals of the industry. 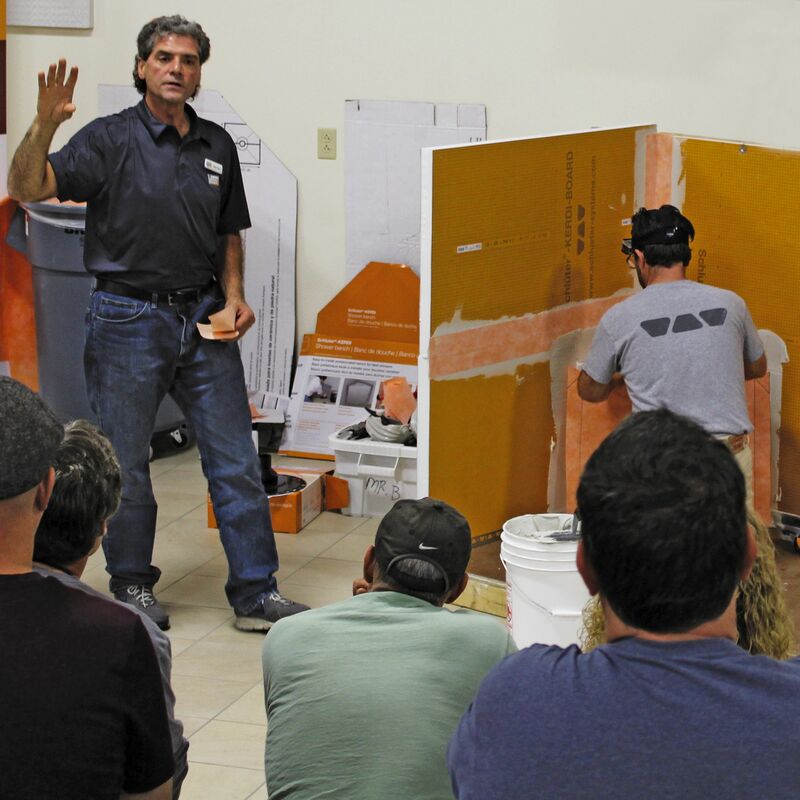 This is your introductory workshop to all things Schluter. See what the tile world looks like in an Orange hue. Once you’ve completed Part 1, you’re ready to be challenged in this advanced, mostly hands-on workshop. 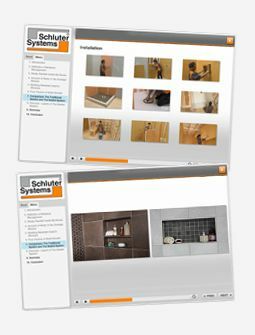 Join us for live demos and presentations to introduce you to the full line of Schluter products. Universal design, aging-in-place, and breaking barriers in the bathroom are the concepts of this Next Generation seminar. No time to join us for one of our workshops? Let us come to you!